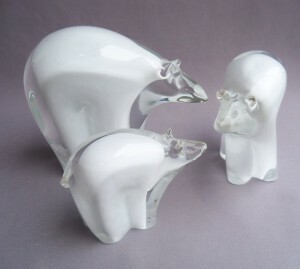 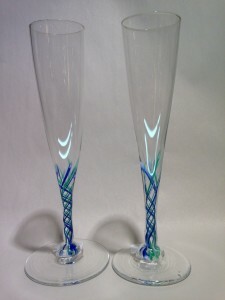 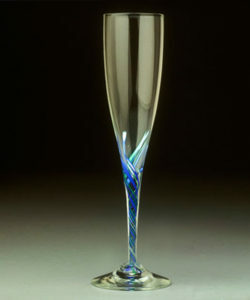 Glass has been an integral part of my life for more than 22 years. 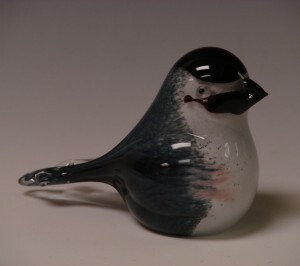 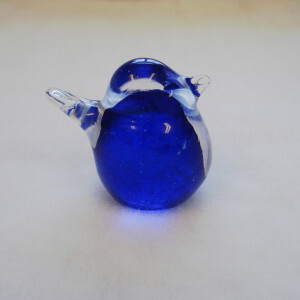 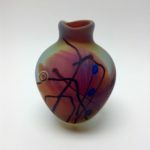 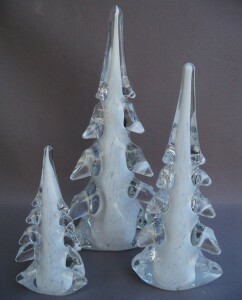 After spending a combined twelve years at two renowned glass studios, with unique but very different styles of glassblowing, I returned home to New England and started Sherwin Art Glass to allow my own style and creativity to flourish. 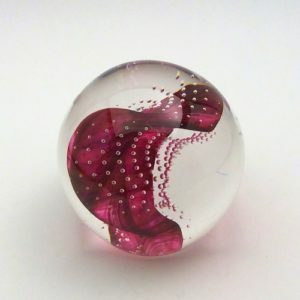 Having a wonderful, supportive and loving network of family and friends in my life allows me to focus on this exciting stage in my career. 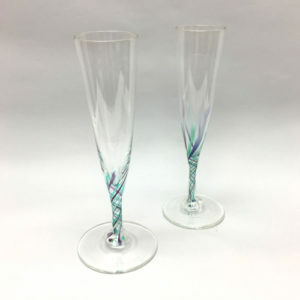 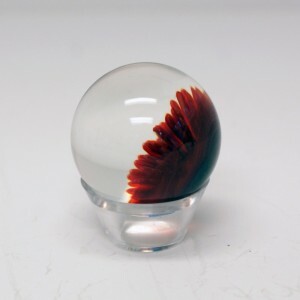 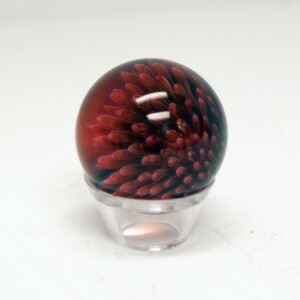 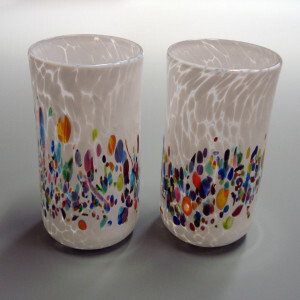 My goal is to bring the creative and technical aspects of torchwork design and application--Painting with Glass--together with the freedom and elegance of hand-shaped forms to create harmonious, high quality, collectible pieces of glass art. 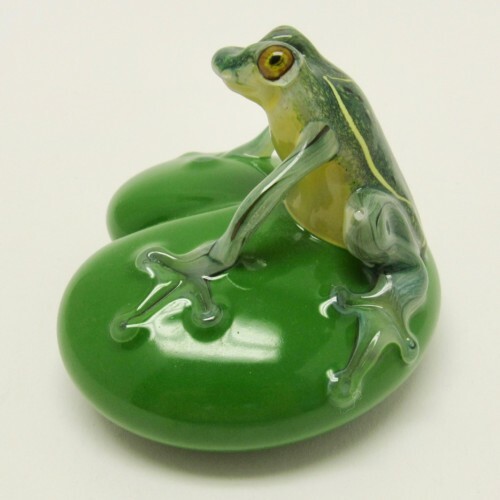 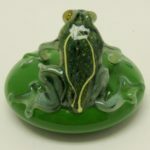 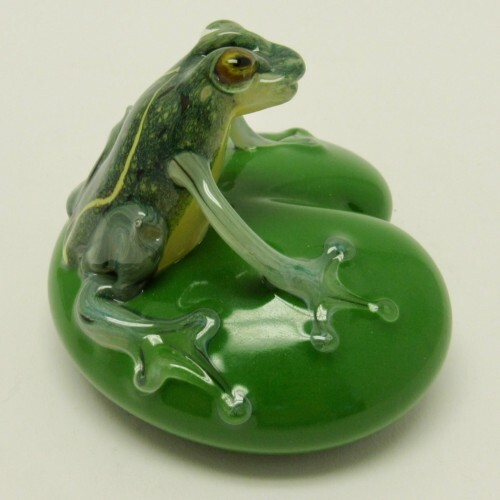 Glass frog sitting on a lily pad; amazing detail; 2 1/2″ tall. 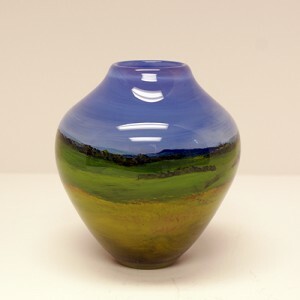 Please contact the Littleton gallery at (603)444-1099 with any questions.